The alternative health/natural foods world was shocked yesterday by a new report published by Dr. Kaayla T. Daniel, PhD, stating that "fermented" cod liver oil is allegedly not what it is advertised to be according to lab testing. The report suggests that the product is rancid and adulterated. This "fermented" cod liver oil is fully supported by the Weston A. Price Foundation, where Dr. Daniel currently serves as Vice President. David Gumpert of The Complete Patient broke the story yesterday (Saturday August 22, 2015), but his website is currently down at the time of this writing. 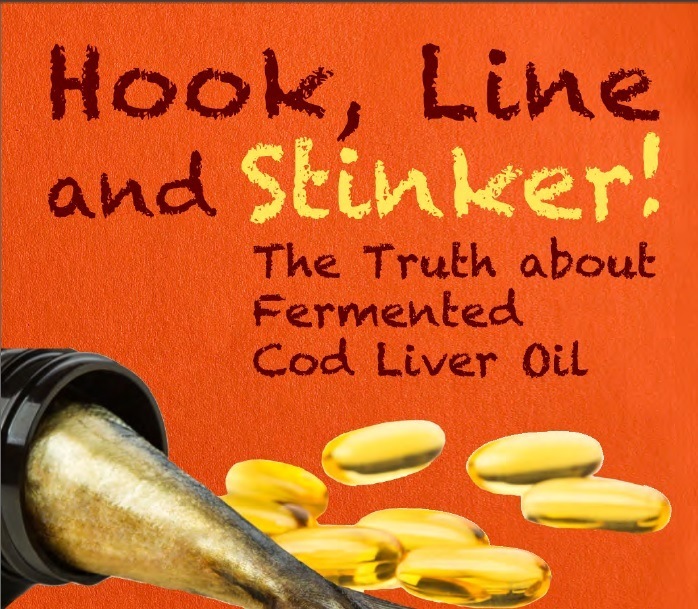 The significance of this report cannot be understated, since the company manufacturing this "fermented" cod liver oil has a virtual monopoly on the product, with many consumers depending upon it for health purposes. Some, such as Dr. Ron Schmid, have gone so far as to claim that the product has damaged their health. We are expecting a rebuttal from Green Pasture, the company in question, and will post a link to it as soon as they publish it. As the owner and founder of Tropical Traditions, I take the matter of transparency and integrity of food products very seriously, and I encourage the Weston A. Price Foundation to conduct a full investigation into this matter, and cooperate with Dr. Daniels. We, along with everyone else in the alternative media and natural food industry, will be watching very carefully to see how Dr. Daniels is treated in her effort to protect consumers' health. Wondering what their motive was to bash this product? Why go through all the hassle just to discredit this company? Some additional info on this topic: http://fermentacap.com/index.php?option=com_content&view=article&id=41&Itemid=200 Rancid oil that is not even from the fish it is supposed to be from is not a good thing. Based on basic science Fermented Cod Liver Oil never made logical sense. Sources and processing of this oil appeared to be based on 'pure magic / alchemy'. Unless it can be demonstrated that a manufacturer loves me more than money, I avoid anything that has been processed, including supplements. Sadly in this age it has become extremely difficult to be trusting of promises and miracles that have been influenced and corrupted by the anticipation of profits. I have never tried the stuff myself, but I have a 50 year old cousin and his wife who swear it has helped them a lot.